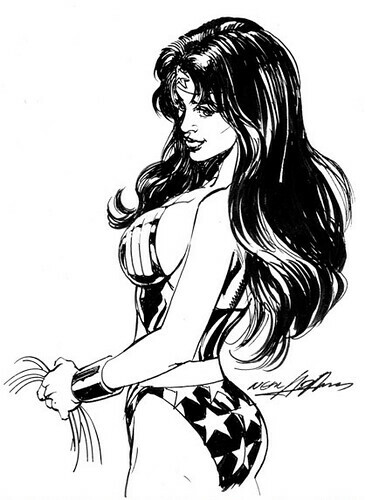 Here's a nice little drawing that Neal Adams did of Wonder Woman. I believe I found this on Facebook or the Neal Adams store. I can't imagine this pose working as well in the WW pants suit, can you? Now I'm hoping Diana Prince will show up in Batman Odyssey. Nuff Said!